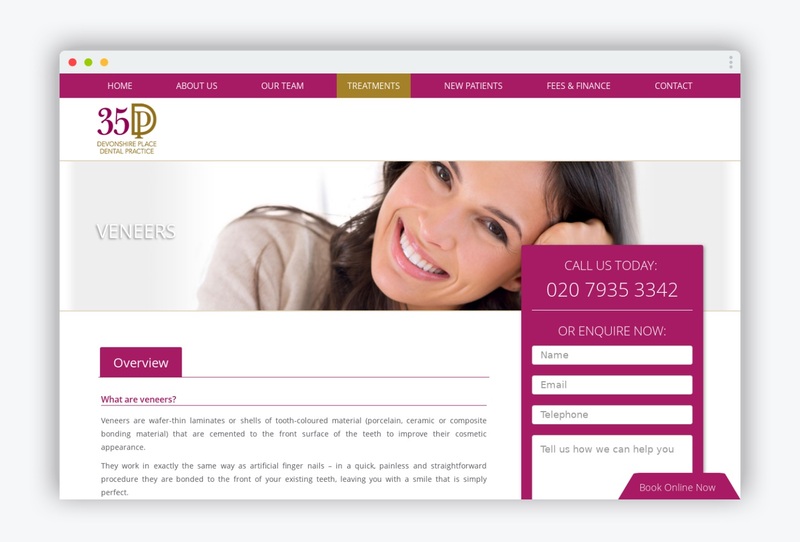 35 Devonshire Place is a dental practice based in the world-renowned Harley Street area. 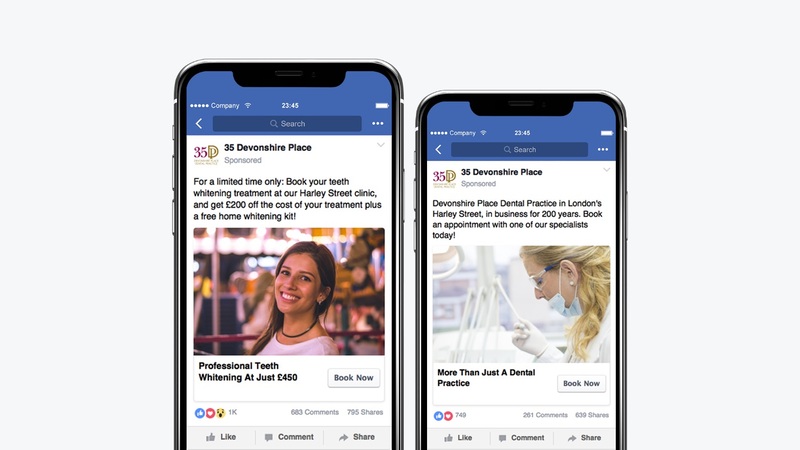 Having been in business for over 100 years, they have experienced high levels of competition in an area that has the highest concentration of dental practices in the world. Over the years they built a large loyal group of patients, but this was made up of an aging population. They had not focused on new marketing technologies, and were not actively building a new customer base. They were also contending with a severely depleted pool of patients after one of their lead practitioners left the business, taking a large proportion of the patients to her new venture. 35 Devonshire Place needed to expand their customer base, but were unsure how to approach a new, younger audience. Initially, we spent a full day with 35 Devonshire Place completing a Discovery session. We learnt everything we could about the business, including where it had been, where it currently was, and where it wanted to go in the future. We also assessed the practice's strengths and weaknesses and looked into the opportunities available as well as the threats to the practice. In addition to this, we helped them outline their core objectives. 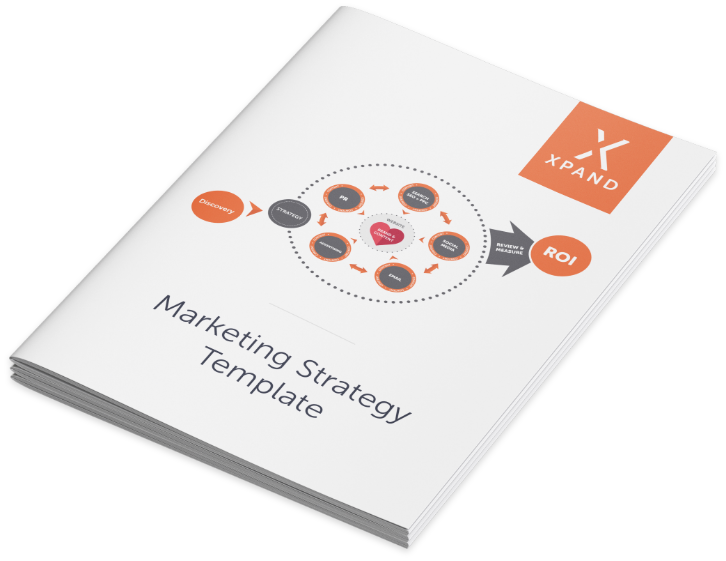 We were then able to create a detailed strategy that involved a competitor assessment, creation of buyer personas, and a step-by-step guide detailing the marketing activity that was needed to achieve the business objectives. This included a multi-channel approach, involving organic and paid social media, PPC, and amends to the existing website. After delivering the strategy, the client asked us to carry out our recommendations. We delivered a PPC campaign using Google Ads, and developed a landing page to ensure that leads were funnelled through to conversion. We also managed the social media accounts, growing the following and carrying out both organic posting and paid advertising. Following the implementation of the strategy, we continued to work with 35 Devonshire Place, providing them with monthly reports and acting as their first port of call for advice on anything related to marketing. We also worked with them to refine their lead to conversion process, ensuring that no enquiry or budget was wasted. 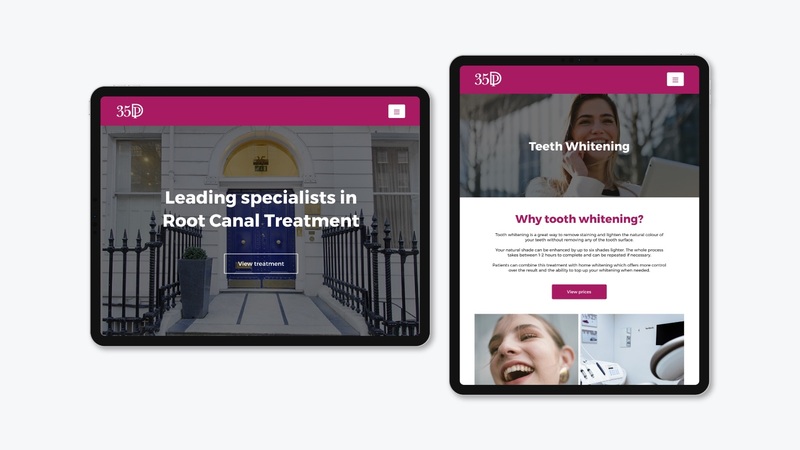 We’ve been working with Xpand over the last few months to help establish a strategy and framework to grow our business and establish a clear strategy for our private Harley Street Dental Practice. We’ve been really impressed with their work, the team quickly understood the challenges we face and came up with a detailed proposal outlining a plan to achieve success. Within the first month of implementing the strategy, we were able to measure £12,000 of converted business for the client. They were also pleased to report that due to a proper structure being put in place, morale amongst practice staff was boosted. They could see a very positive sway in the right direction for the business for the first time, and were excited about the future of the practice.